You can get access to Trove’s new Mantle of Power expansion now by purchasing from a selection of booster packs filled with various buffs. In the mood for more online questing? Check out our list of PC’s best MMORPGs. So if you want to take on the expansion’s new elemental areas, tame its rideable dragons and tackle its heightened difficulty before the official release on April 26, you just need to head over to the Trove siteand grab one of three packs. Each pack is filled with various boosters and items, and there are three different pricing ranges are available. As part of the Mantle of Power Head Start Program, as it’s called, you will be able to enter the Elemental Adventure Worlds, level all the way to 30, and start using Gems – the expansion’s new power-ups – straight away. 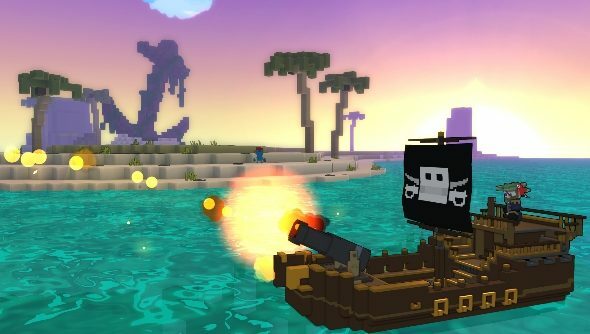 We recently spoke to Trove’s executive producer about the expansion, so do give that a read if you want to know more. There’s also a lovely FAQ over on the Trove site, which is handily where the booster packs can be bought.